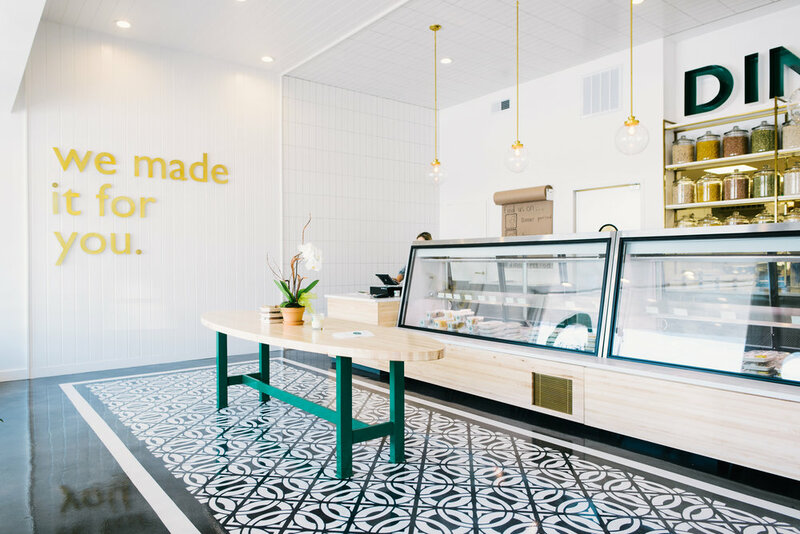 A contemporary take on an old world butcher shop and bakery. 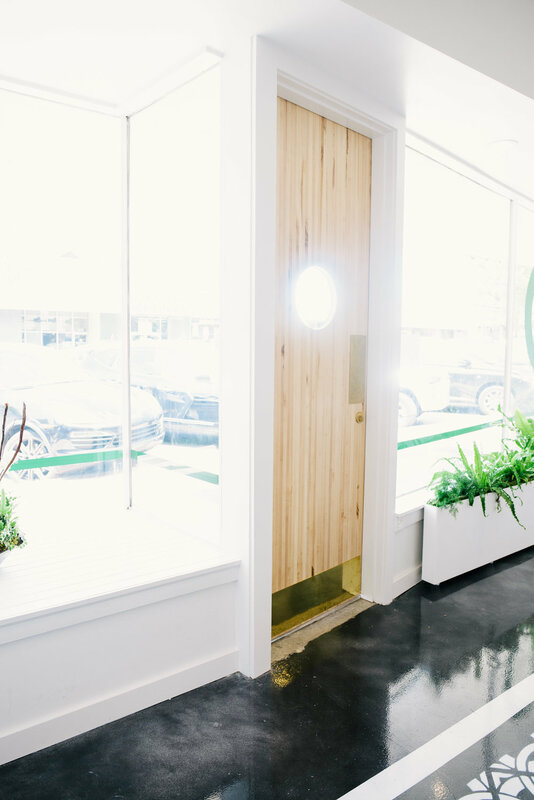 The client wanted a clean space with plenty of natural light to emphasize their gourmet grab-and-go food, smiling faces behind the counter, and close-knit community of their chosen location. Perhaps the most unique element of the restaurant is the stamped tin pattern on the concrete floor. 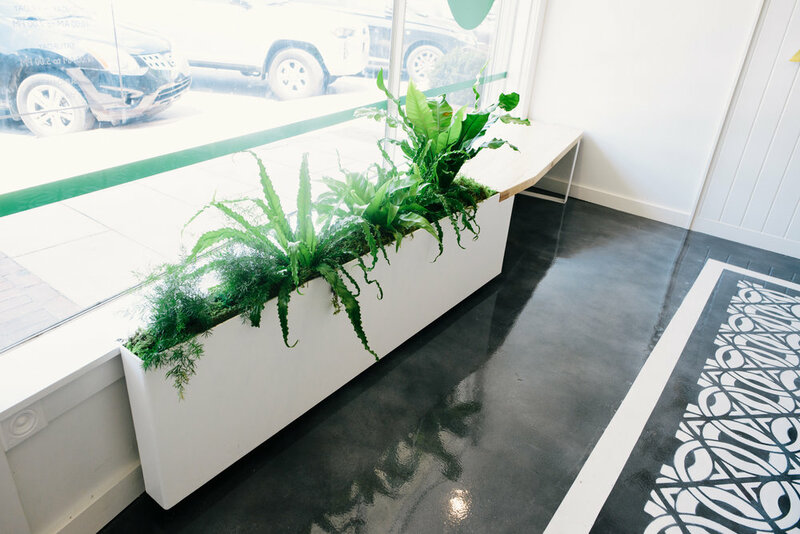 A custom built-in planter filled with greenery further accentuates the pops of green throughout the store.White subway tile and white v-groove wainscoting from floor to ceiling help delineate the space, creating clean lines and visual texture. Touches of gold and unlacquered brass found throughout the store, from the diamond brackets supporting the custom shelving to the dramatic pendant lights hanging over the counter, help to achieve modern refinement.